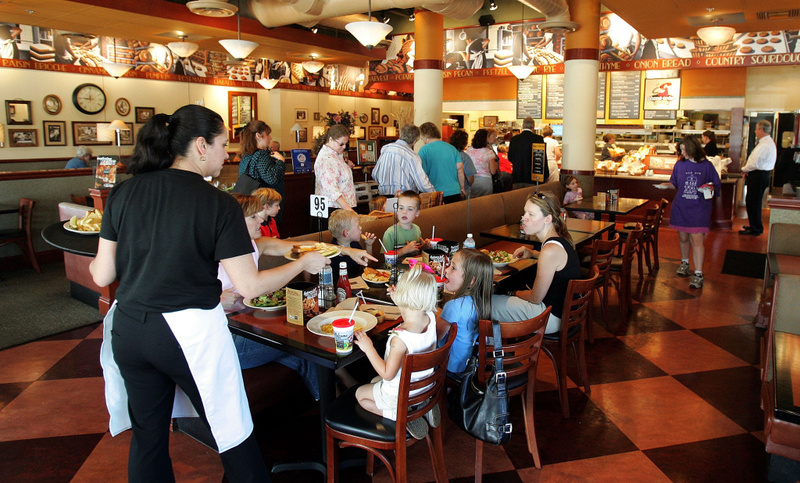 A server delivers food to customers at a Corner Bakery Cafe October 4, 2005 in Glenview, Illinois. If you’re in the restaurant business, whether in the back-of-house, front or as an employer, we want to hear your thoughts. Paul DeCamp, lead counsel for plaintiffs challenging the Labor Department’s “ban” on tip pooling; previously, DeCamp ran the Wage & Hour Division of the Department of Labor (2006-07); he’s currently a member with law firm Epstein Becker and Green in Washington D.C.